Ahh the summer. My favorite time of year. The weather is gorgeous and there is so much to do. The problem with that is a lot of these things to do can cost a lot of money. I love to save money. 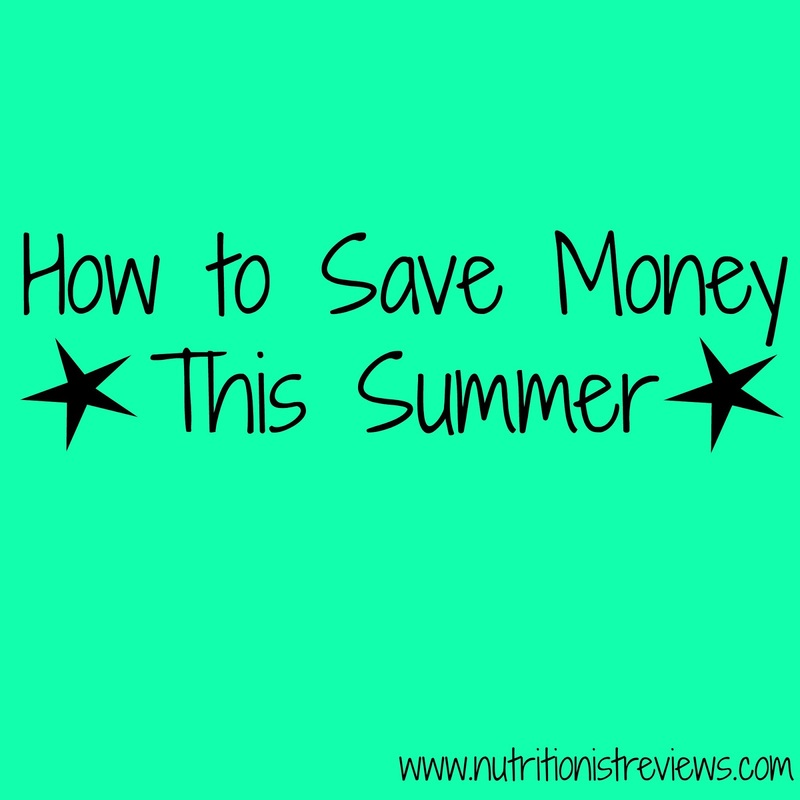 It is one of my passions and I have a zillion tips and tricks that I use to save money so that I can spend money on the things that I want to spend my money on. We have a local riverwalk, pool, and different places to go that are absolutely free but still a great time. Find beaches to walk on, free summer concerts, inexpensive festivals, etc. For the 4th of July, we are going to free fireworks and a free Tim McGraw impersonator concert. I suggest searching for free things to do in your area for some ideas. If you are local to Michigan, I highly suggest Mrs. Weber's Neighborhood blog which provides tons of ideas what to do for free. Some people run their AC constantly in the summer which will rack up a huge bill. We try not to turn on our air conditioner until about an hour or so before bed since we like it cool. This helps save a ton of money. Another tip related to this is try to make cool meals or meals on the grill instead of turning on the stove or oven which will heat up your home. For 4th of July, we will be cooking delicious foods. When you are going to a destination that is close (a mile or so from home), walk, bike or run there. This helps save money on gas and is good for you. My parent's house is only 1/2 mile from ours so 90% of the time, we walk there instead of driving. When Troy goes by himself, he will longboard there. We have a Starbucks, Einstein's, sandwich places and grocery store within a mile of us and a lot of times, we walk there instead of driving. We cancelled our cable and love it! We didn't use it anyways and don't miss it. We do watch some shows on Netflix. One of our favorite things to do in the summer is to go outside on our patio and just hangout with one another. Very cheap entertainment. 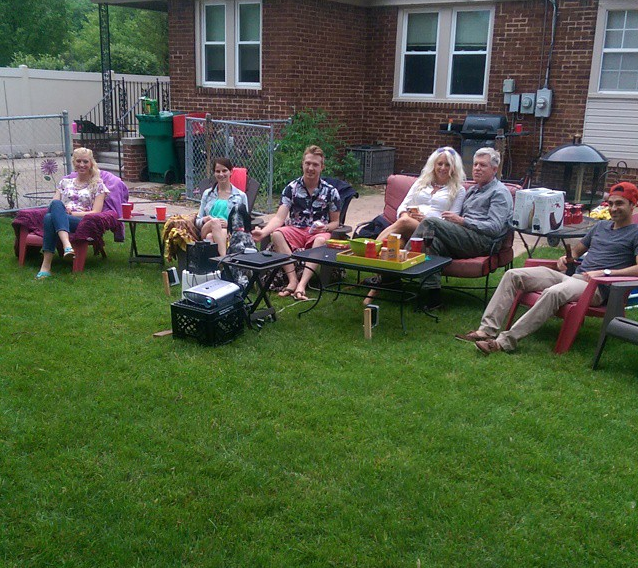 For a Father's Day surprise for my dad, my husband created an outdoor movie theater using a projector that he borrowed, candy, popcorn and wine. It was an amazing night that cost very little. For 4th of July, we will be having an outdoor bonfire which is free and full of great conversation. Produce in the summer is very affordable and by buying this produce, you can save money on your grocery bill. On top of that, fruits and vegetables are super nutritious so you are doing your wallet and body good. I HATE having high reoccurring costs. We do everything that we can to lower this type of bill because they are expensive, annoying and often a waste of money. We recently lowered our cell phone bills by going on a family plan which is awesome. Walmart Family Mobile is another way to save money on your cell phone which can help you have extra money for the things that you actually want to spend your money on. 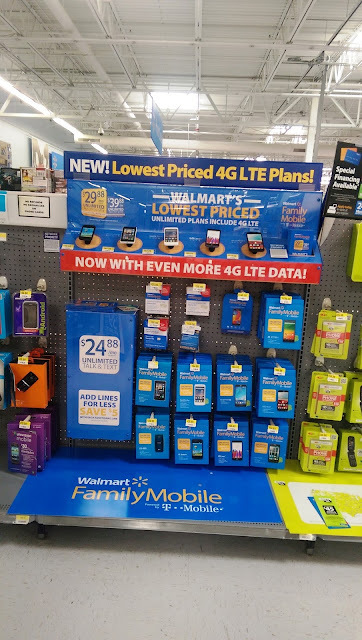 I recently purchased the LG Leon phone and the Walmart Family Mobile Plan. The WFM plan has great 4G LTE service and the first lime is only $29.88 which is a great price. This includes unlimited talk, text and dad and 1G of 4G LTE data. This phone is great and affordable. Disclaimer: All prices for phones and plans included in this post are accurate as of the date of posting; however, these prices are subject to change. Please refer to http://cbi.as/ax84 or your local Walmart for current pricing.